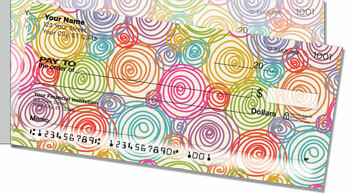 Precise patterns produced using a complicated algorithmic equation bring you beautiful curving hypotrochoids and epitrochoids on your new personal checks. Okay...so I don't really know what I'm talking about. But the brainy designer who put together this eye-catching option had our most intelligent customer in mind when creating it. 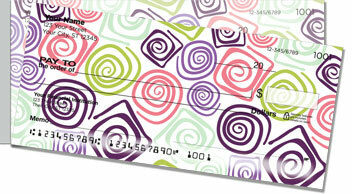 This twisted set of checks sums up your unique personality! 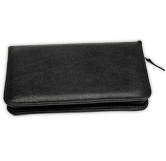 Spiral Pattern Side Tear Checks from CheckAdvantage have a terrifically techie look as well as a convenient design. 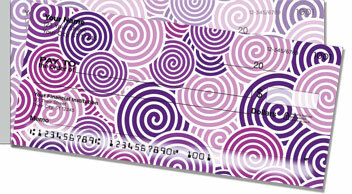 The side perforation makes it easy to pull checks from the pad without any ripping. 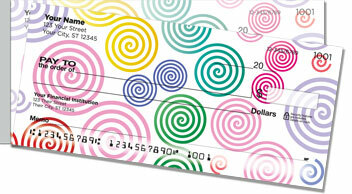 Get your own Spiral Pattern Side Tear Checks today! You can also find this selection available to order as matching address labels.